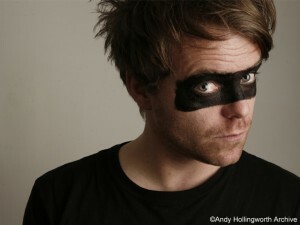 ...to the world of The Mighty Boosh! Oriel Colwyn proudly joins forces with Theatr Colwyn and Dave Brown to present The Mighty Boosh-a-thon. Screening all 20 episodes, back to back, from Series 1 - 3 of the cult BBC show 'THE MIGHTY BOOSH' starring Noel Fielding, Julian Barratt and DAVE BROWN! 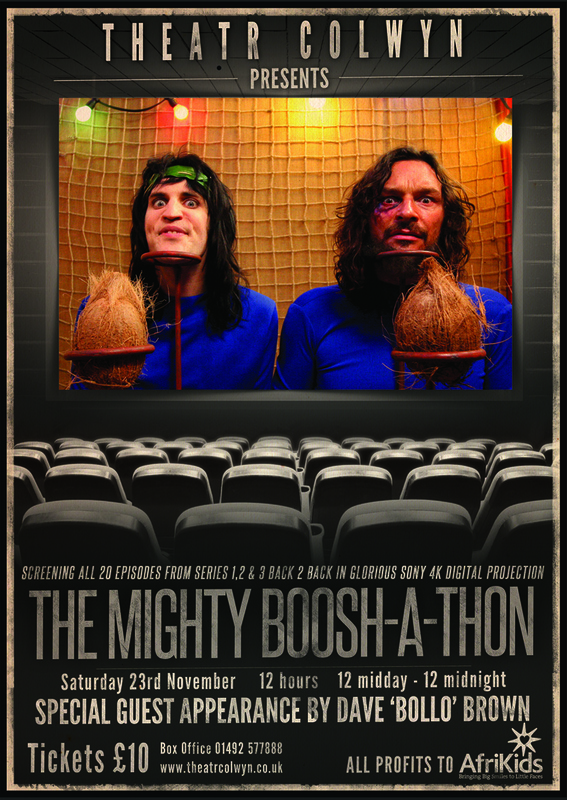 12 hours of non-stop Boosh'ness, from midday to midnight on wondrous Sony 4k Digital Projection! This event is being held in conjunction with our TOUGH CROWD photography exhibition by Dave (Bollo the Gorilla in The Mighty Boosh) Brown. Making a special appearance during the Boosh-a-thon, Dave will be taking time to talk about his life with The Boosh, his TOUGH CROWD exhibition and his continuing work as an Ambassador for AfriKids, a charity helping children in Ghana. Tickets only £10 with proceeds from the Boosh-a-thon going to AfriKids. This event is for AfriKids, please consider lending your support. 15 Certificate - No Concessions - No Booking Fee.